This was the week with all the snow. Well, a foot of snow, anyway. It was a good week for doing some revision. At first, I didn’t think I did that much work. Then, I added it up. 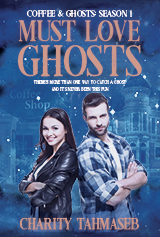 I revised The Ghost That Got Away, did a content edit/light revision on The Wedding Ghost, and for the sake of story/world building continuity, reread Ghosts of Christmas Past. Um. Yeah. That’s close to 90,000 words total. That’s a lot of words. And a lot of ghosts. This upcoming week I hope to put the final touches on The Ghost That Got Away and unleash it into the world. Stay tuned. Coffee & Ghosts, Season Two: Revision/editing, etc.